Does anyone else feel November went fast? I only just wrote a welcome post to German Literature Month and now it’s already over. That’s not why I’m late though. I caught a nasty cold. I’d like to thank everyone who participated. It’s always wonderful to see all of your choices and your enthusiasm. So, thank you very much. 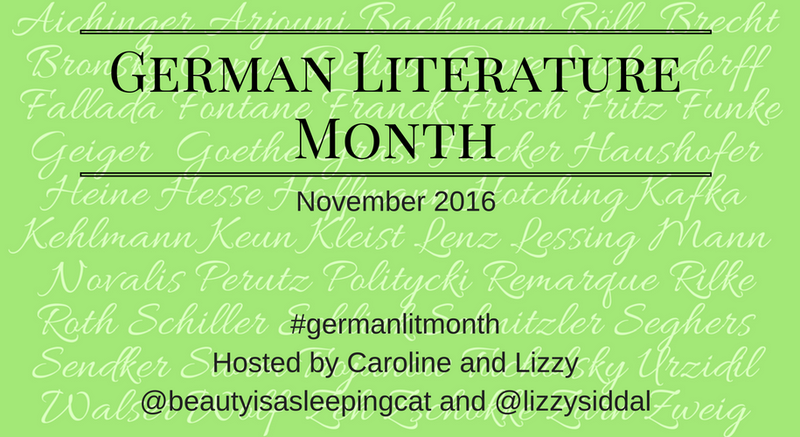 If you haven’t done so already, please add your posts to the German Literature Month Site. I’m still playing catch up and Lizzy’s collecting links for a final wrap-up post. If you haven’t seen Lizzy’s post, you might not know that we are planning a Readalong of Joseph Roth’s Radetzky March early next year. The date hasn’t been fixed yet, so I’d like to know what would work for you. We would like to extend this readalong over the course of one month, posting weekly on predefined portions of the novel. There will be questions, for those who’d like to use them, that will facilitate discussion. And thanks again for your participation. German Literature Month is eight years old this year, and part of the literary calendar. Lizzy and I know that because of the chatter that continues throughout the year about books purchased and set aside for the event. And that makes us very happy. We’re even happier when you read them during November. The last couple of years have been entirely read as you please, but this year Lizzy and I wanted to introduce new themes and add in more social reading opportunities. So we’ve devised the following plan. As always, you may read as you please for the month, or you may choose to join in any (or all) of the specific themes and readalongs. It’s entirely up to you. The main thing is to enjoy yourself! Will you join us? I can’t believe it’s already November. And I can equally not believe how unprepared I am this year. 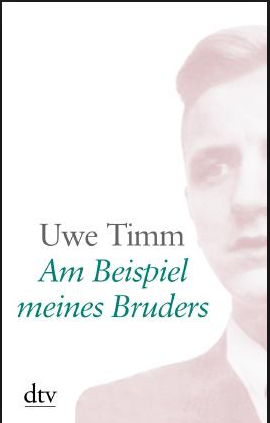 Usually I’ve already read a few books for German Literature Month before it even began. Or at least I’ve made a long list. Not so this time. I think I got a bit discouraged when I realized that most of the books I was drawn to haven’t been translated yet. To review or not to review a book that hasn’t been translated is always a dilemma. Not just during German Literature Month. In the last couple of months I decided mostly against it. I have a feeling, I won’t be able to do that this month. But we will see. For now I only know that I will be discussing Lion Feuchtwanger’s The Opperman’s, which is part of the Literature and War Readalong. I’ll tell you more about it shortly. And here is a tiny list. After years on the job, police detective Jakob Franck has retired. Finally, the dead with all their mysteries will no longer have any claim on him. Or so he thinks. On a cold autumn afternoon, a case he thought he’d long put behind him returns to his life and turns it upside down. The Nameless Day tells the story of that twenty-year-old case, which began with Franck carrying the news of the suicide of a seventeen-year-old girl to her mother, and holding her for seven hours as, in her grief, she said not a single word. Now her father has appeared, swearing to Franck that his daughter was murdered. Can Franck follow the cold trail of evidence two decades later to see whether he’s telling the truth? Could he live with himself if he didn’t? A psychological crime novel certain to thrill fans of Henning Mankell and Jo Nesbo, The Nameless Day is a masterpiece, a tightly plotted story of contemporary alienation, loss, and violence. Each character in Larissa Boehning’s debut collection experiences a moment where they re forced to confront how differently things turned out, how quickly ambitions were shelved, or how easily people change. Former colleagues meet up to reminisce about the failed agency they used to work for; brothers-in-law find themselves co-habiting long after the one person they had in common passed away; fellow performers watch as their careers slowly drift in opposite directions. Boehning’s stories offer a rich store of metaphors for this abandonment: the downed tools of a deserted East German factory, lying exactly where they were dropped the day Communism fell; the old, collected cameras of a late father that seem to stare, wide-eyed, at the world he left behind. And yet, underpinning this abandonment, there is also great resilience. Like the cat spotted by a demolition worker in the penultimate story that sits, unflinching, as its home is bulldozed around it, certain spirits abide. I hope you’ve got your books ready and are looking forward to joining us. On 15th November, the date of the Warwick Prize award, Lizzy will be discussing Yoko Tawada’s Memoirs of A Polar Bear. 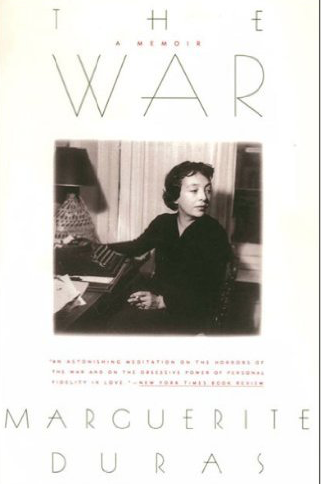 On 29th November, I will discuss Lion Feuchtwanger’s The Oppermanns as part of her War and Literature series. Doesn’t time fly? It seems like only two minutes ago since we were celebrating GLM VI. Just like in previous years, I will co-host this event with Lizzy’s Literary Life. During the month of November, both our blogs will be dedicated to literature written in German. Will you be dusting down some neglected tomes from your bookshelves? Reading more from a favourite author or treating yourself to some newly translated works? There’s a lot to celebrate in German Literature this year: the Theodor Storm bi-centennial, the Heinrich Böll centennial, or the three German titles on the longlist of the Warwick Prize for Women in Translation. The whole month will be read as you please, with two readalongs for those who enjoy social reading. There is no obligation to participate in the readalongs. 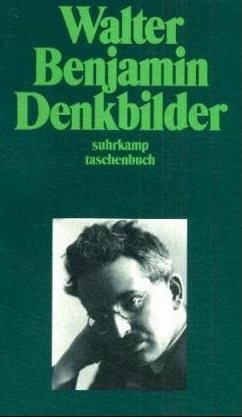 As ever, the only rule for German Literature Month is to simply enjoy reading something originally written in German. A novel, a play, a poem. Literary non-fiction, even. Blog about it. Tweet about it. Review on goodreads or any other review site of your choice. Just let the world know about the treasures to be found in German Literature (and let us know about it also on a special link that will be made available on November 1st). In years past support for German Literature Month has been phenomenal, and the event is now a true highlight of our reading calendar. Will GLM VII match its predecessors? It will if you join us. Will you? Some Literature and War Readalong lists took a long time. Not this one. The only thing that took some time was deciding whether I wanted to choose twelve books like I used to or only five like I did in the last two years. In the end, I decided for a compromise and that’s why this year’s list has ten titles, three of which will be the readalong books for May. Usually the summer months and the end of December have never been ideal dates, so I’m skipping those. Now to my book choices. As you will see, with one exception, they are all focussing on WWII. I always strive for diversity and this year is no exception. There are books from five different countries on the list. Every year I include American novels, this year, to make a statement, I chose two Native American writers. Three of the other novels are French, one is Czech, and one German. May’s choice(s) are special because, for the first time, I decided to include poems. We will be reading and discussing British war poems. Some from poets who wrote during WWI, some from contemporary poets like Vanessa Gebbie and Caroline Davies. I’d like to thank Caroline for suggesting I include poems. Here are the books and their blurbs. 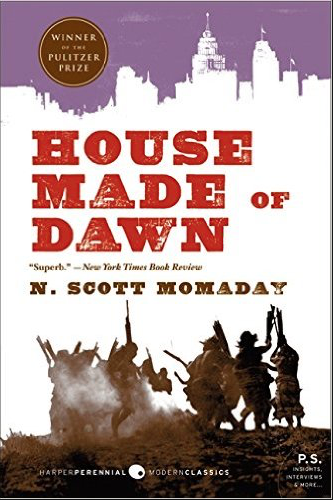 A young Native American, Abel has come home from a foreign war to find himself caught between two worlds. The first is the world of his father’s, wedding him to the rhythm of the seasons, the harsh beauty of the land, and the ancient rites and traditions of his people. But the other world — modern, industrial America — pulls at Abel, demanding his loyalty, claiming his soul, goading him into a destructive, compulsive cycle of dissipation and disgust. And the young man, torn in two, descends into hell. Magnus is a deeply moving and enigmatic novel about the Holocaust and its ramifications. 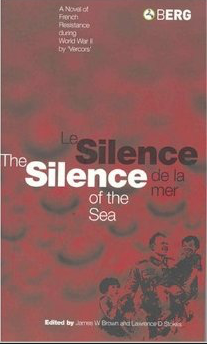 It is Sylvie Germain’s most commercially successful novel in France. It was awarded The Goncourt Lyceen Prize. Magnus’s story emerges in fragments, with the elements of his past appearing in a different light as he grows older. He discovers the voices of the deceased do not fall silent. He learns to listen to them and becomes attuned to the echoes of memory. 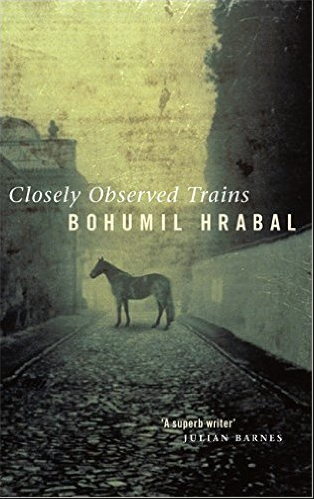 For gauche young apprentice Milos Hrma, life at the small but strategic railway station in Bohemia in 1945 is full of complex preoccupations. 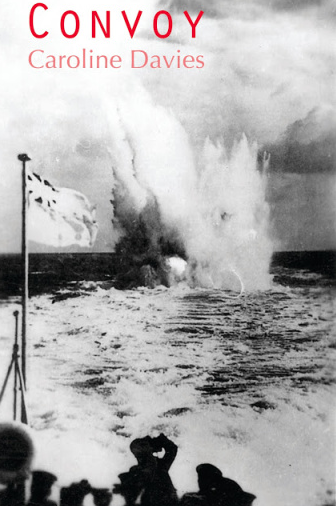 There is the exacting business of dispatching German troop trains to and from the toppling Eastern front; the problem of ridding himself of his burdensome innocence; and the awesome scandal of Dispatcher Hubicka’s gross misuse of the station’s official stamps upon the telegraphist’s anatomy. Beside these, Milos’s part in the plan for the ammunition train seems a simple affair. 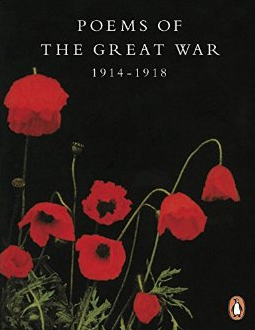 Published to commemorate the eightieth anniversary of Armistice, this collection is intended to be an introduction to the great wealth of First World War Poetry. The sequence of poems is random – making it ideal for dipping into – and drawn from a number of sources, mixing both well-known and less familiar poetry. A moving, honest and never sentimental collection that gives a voice to London’s many war memorials. 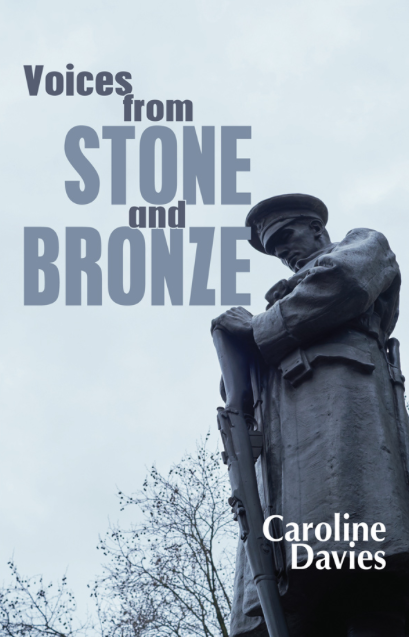 In her second poetry collection Caroline Davies turns her attention to the War Memorials of London. Voices from Stone and Bronze brings to life those who fought and died and those who survived, including some of the sculptors who had themselves come through trench warfare to a changed world. Meticulously researched and deeply humane, these narrative poems apply a lyrical sensibility without sentimentalism; a deeply affective collection. 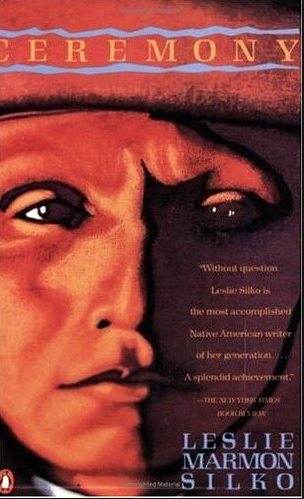 More than thirty-five years since its original publication, Ceremony remains one of the most profound and moving works of Native American literature, a novel that is itself a ceremony of healing. Tayo, a World War II veteran of mixed ancestry, returns to the Laguna Pueblo Reservation. He is deeply scarred by his experience as a prisoner of the Japanese and further wounded by the rejection he encounters from his people. Only by immersing himself in the Indian past can he begin to regain the peace that was taken from him. Masterfully written, filled with the somber majesty of Pueblo myth, Ceremony is a work of enduring power. The Penguin Classics Deluxe Edition contains a new preface by the author and an introduction by Larry McMurtry. Set during the year that France fell to the Nazis, Suite Française falls into two parts. The first is a brilliant depiction of a group of Parisians as they flee the Nazi invasion; the second follows the inhabitants of a small rural community under occupation. Suite Française is a novel that teems with wonderful characters struggling with the new regime. However, amidst the mess of defeat, and all the hypocrisy and compromise, there is hope. True nobility and love exist, but often in surprising places. 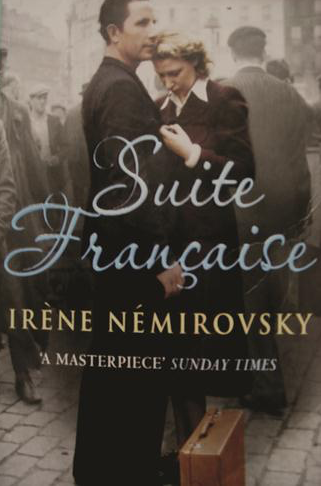 Irène Némirovsky began writing Suite Française in 1940, but her death in Auschwitz prevented her from seeing the day, sixty-five years later, that the novel would be discovered by her daughter and hailed worldwide as a masterpiece. 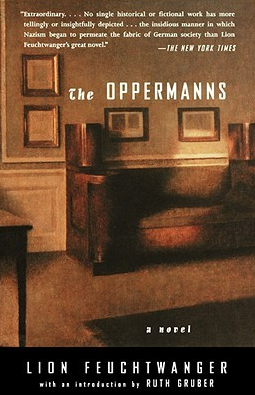 First published in 1934 but fully imagining the future of Germany over the ensuing years, The Oppermanns tells the compelling story of a remarkable German Jewish family confronted by Hitler’s rise to power. 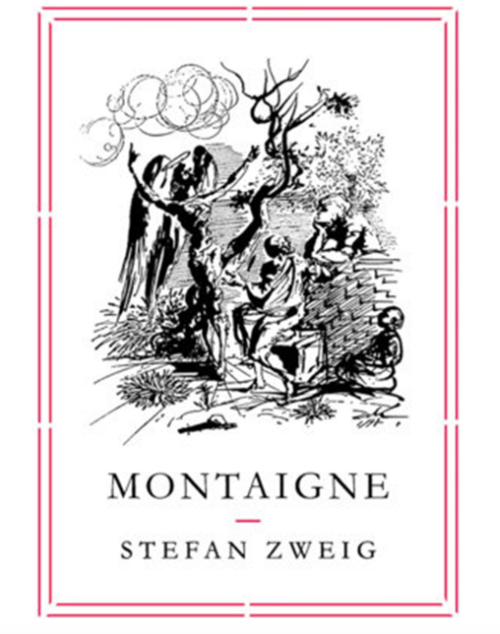 Compared to works by Voltaire and Zola on its original publication, this prescient novel strives to awaken an often unsuspecting, sometimes politically naive, or else willfully blind world to the consequences of its stance in the face of national events — in this case, the rising tide of Nazism in 1930s Germany. The past and future meet in the saga of the Oppermanns, for three generations a family commercially well established in Berlin. In assimilated citizens like them, the emancipated Jew in Germany has become a fact. 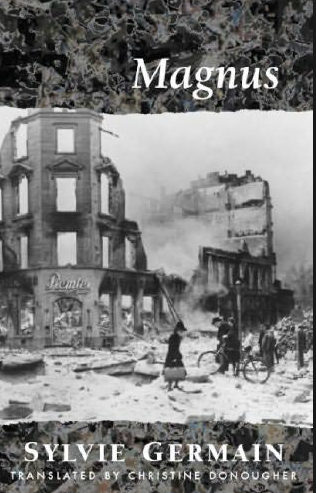 In a Berlin inhabited by troops in brown shirts, however, the Oppermanns have more to fear than an alien discomfort. For along with the swastikas and fascist salutes come discrimination, deceit, betrayal, and a tragedy that history has proved to be as true as this novel’s astonishing, profoundly moving tale. I’m looking forward to reading these books and hope that some of you might be tempted to join me and join the discussions. For those who are new to this blog – you can either read the book and just join the discussion or you can post a review on your blog/Goodreads . . . as well. I post my review on the announced date and will link to anyone else’s review. The discussion normally begins that day and lasts several days. Finally it’s November. Those of you who follow my blog might have noticed I was a bit quiet in the last weeks. With good reason. I was busy reading German, Austrian, and Swiss literature. As you know, Lizzy and I have decided to do a “Read as you please month” with only two themed weeks. A crime week during week two, hosted by Lizzy. 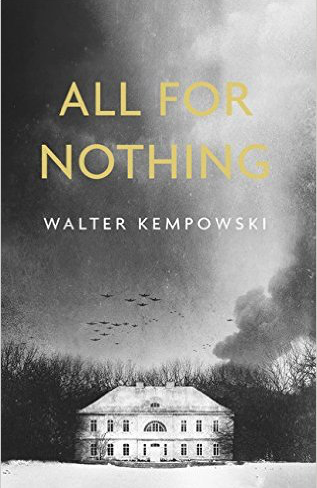 The Literature and War Readalong on November 25, in which we read and discuss Walter Kempowski’s WWII novel All For Nothing – Alles umsonst. For those who are still looking for titles, here are the books I have already read and those I’m still planning to read. 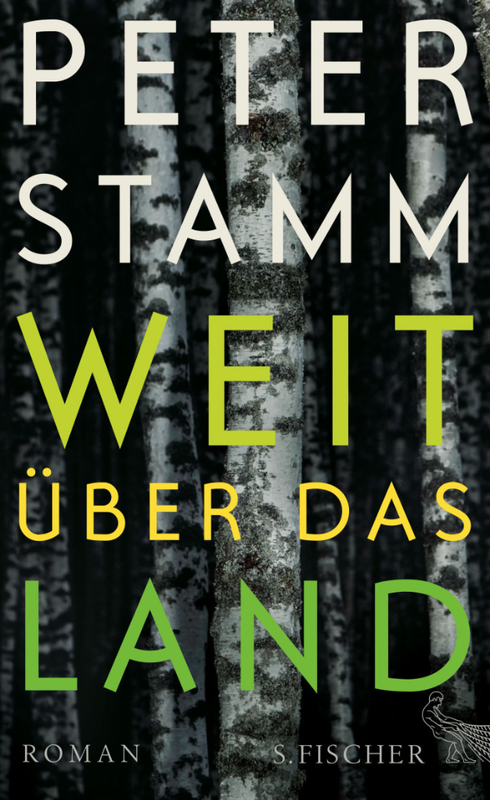 Peter Stamm’s latest novel. I must admit, I might not review it. It’s the worst book I’ve read this year. I can still not believe he wrote something like this. 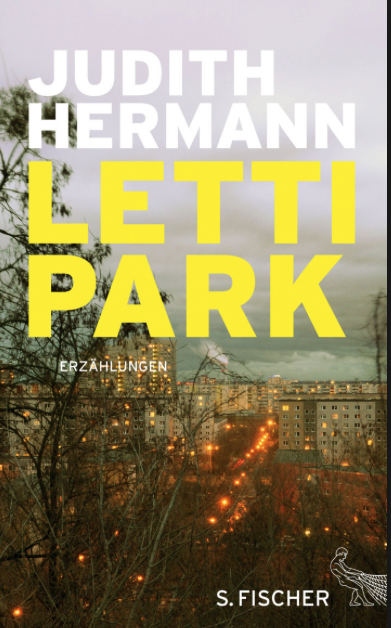 Judith Hermann’s new short story collection Lettipark. I’ve not finished this yet but I can already see that it’s a mixed bag. 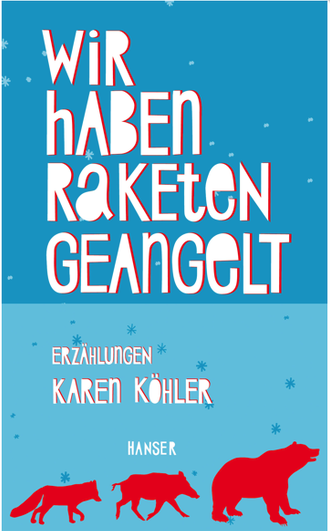 Karen Köhler’s short story collection Wir haben Raketen geangelt. I bought this collection a while ago but haven’t read it yet. When I was looking for reviews of Judith Hermann’s book I saw it mentioned a few times. Most critics came to the conclusion that readers would do better to read Köhler instead of Hermann. I’ll let you know what I think. 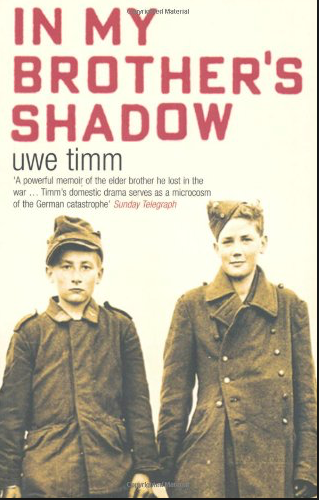 I’ve only heard great things about Uwe Timm’s memoir In My Brother’s Shadow – Am Beispiel meines Bruders. As far as I can tell, (I read the beginning), it’s amazing. 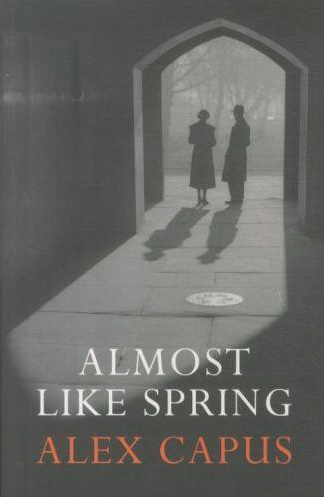 Almost Like Spring – Fast ein bisschen Frühling, is my first Alex Capus and if the rest is as good as the beginning, it won’t be my last. Last year I read Ursula Poznanski’s Erebos and was pretty much blown away. 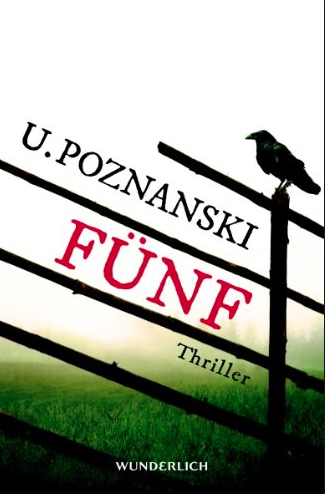 While I liked Five – Fünf a bit less, it’s still a really gripping book. 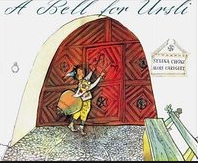 You may have noticed that her adult crime novels are published under another name, Ursula P. Archer, in English. 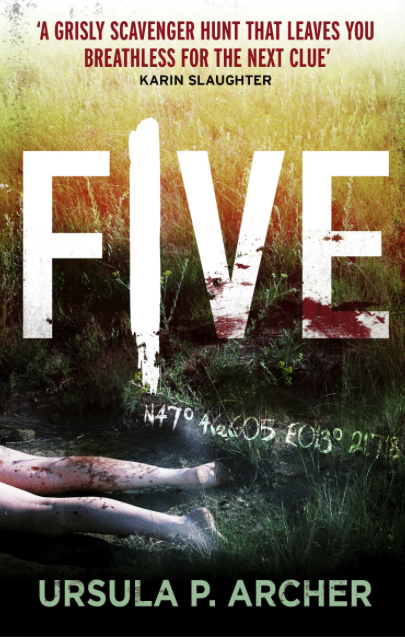 If you’re still looking for a page turner for crime week and are not too squeamish, you’ll enjoy this. These are my plans so far. 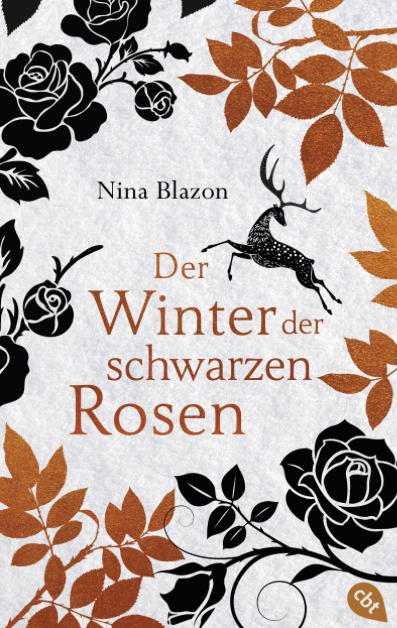 I might add some Walter Benjamin and one of the fantasy novels by Nina Blazon Der Winter der schwarzen Rosen (not translated yet). I hope you’re all busy making plans and wish you all a great month. I hope you’ll discover a lot of great books. Happy Reading! There will be a few giveaways. 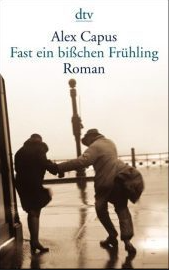 Please add your reviews to this site German Literature Month.